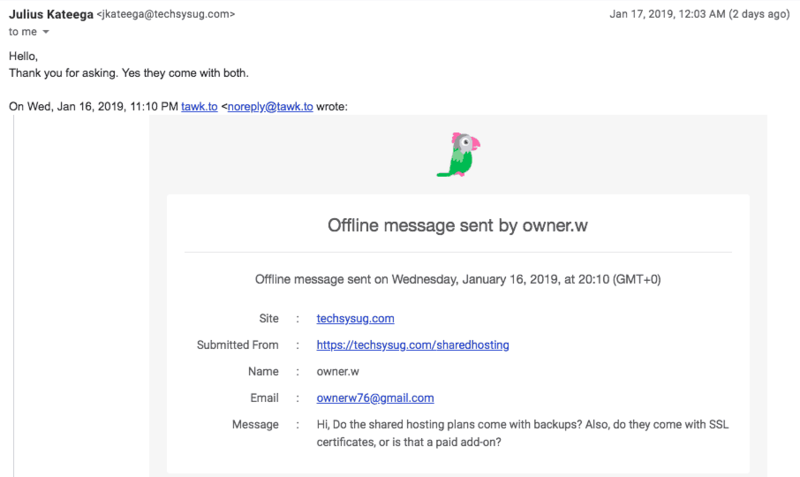 Techsys Ltd Review 2019: Is Techsys Ltd a Good Hosting? Techsys Ltd has been providing hosting since before 2008. It only collocates its servers and there are some older versions of software, however, the plans are affordable and include some excellent value added features, along with high resource allocations. Techsys Ltd was legally registered in 2008, although it had been doing business beforehand. It has servers in data centers in the U.S., U.K., Germany, the Netherlands, and India. The website is provided in English only. Techsys Ltd has servers collocated in multiple worldwide data centers. While not as good as owning its own center, it’s a bonus that the customer gets to choose the server location based on their requirements. The uptime is guaranteed to be 100% in all server locations excluding India, which has a 99.6% uptime guarantee. There’s a simple SLA on the homepage which states if you have an issue, the company will resolve it in an hour. Three or more issues in one month and you get a 50% refund. There are a ton of tools for beginners, for example, all plans come with a free website builder, with more than 2,000 free website templates. There’s also a one-click installer for more than 150 programs. In all shared hosting plans, experts get unlimited MySQL databases, phpMyAdmin access, support for programming languages PHP 5 (not the far faster version 7), Ruby on Rails, Perl, and Python. To sweeten the deal, there is SSH access and cron jobs for scheduling regular scripts. The prices are inline with, if a little cheaper than local and international competitors, especially when you consider the resource allocations. All plans come with unmetered bandwidth and even the base plan comes with 1GB of SSD storage. Domains are free in most packages. Plans can be bought in one-month or one-year terms, with no discount for purchasing longer upfront. Domain email accounts and dedicated IPs are added costs in the checkout flow, but the prices are standard. It’s nice to see a 30-day money-back guarantee on all plans, so you can get started relatively risk free. If you’re the kind of person who likes solving problems on your own, there’s a good knowledge base. Other than that, you can contact Techsys Ltd 24/7/365 by creating a ticket on the website. There is live chat, however, it was offline when I contacted them. I sent an email via the live chat window and, as you can see from the timestamp in the email, I received a response within four hours, despite it being nighttime. The member of staff was polite and helpful. Techsys Ltd provides hosting with combined SSD and SATA drives, LiteSpeed Web Server, and LiteSpeed Cache to ensure high speed websites. Sure, the servers are collocated and support for PHP is version 5 rather than 7, but these plans include plenty of features for experts and beginners, at an affordable price. 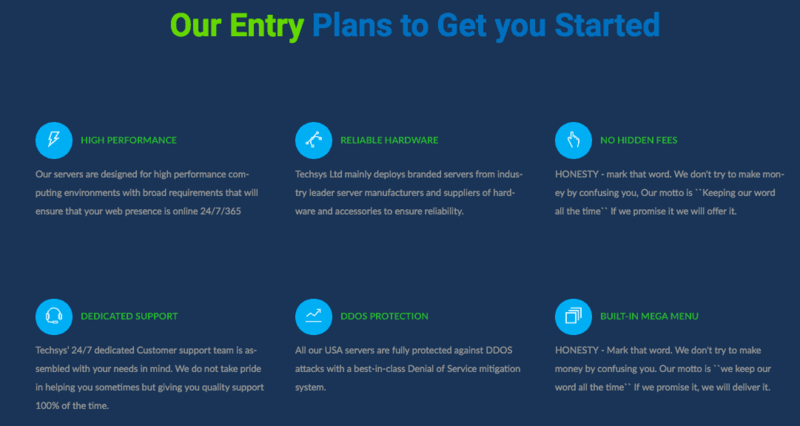 Wondering how Techsys Ltd stacks up against other Web Hosting companies? Enter any other Web Hosting company and we will give you a side-by-side comparison.